Connect your primary school classroom to a Kids Helpline counsellor for free! Free sessions are available to all primary schools Australia-wide. Kids Helpline counsellors encourage safe, open and inclusive discussions about a range of topics relevant to students' lives. Sessions are all evidence-informed, contain fun, interactive components and may also include scenarios or videos to engage students in problem solving. Kids Helpline @ School has two streams of curriculum aligned topics, Digital and Wellbeing. In 2017, 24,221 primary school students from 221 schools participated in a total of 810 sessions with a Kids Helpline Counsellor. Results of an evaluation study of the Optus Digital Thumbprint stream indicate high levels of awareness of topic content in students who attended sessions. 97% of teachers reported sessions were likely to have improved students' understanding of the topic discussed and 85% of grades 4-6 students gained ideas about how to deal with the issue discussed. For more detailed information about the impacts this program is having, please view this report. yourtown is an eSafety Certified Online Safety Program Provider. 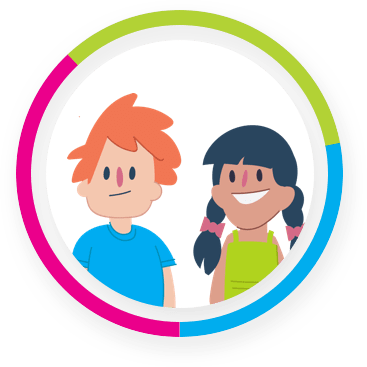 The Office of the eSafety Commissioner website also provides age-based resources and lesson plans for primary and secondary students. KidsMatter provides schools with a range of resources to help them support children's mental health and wellbeing. Teachers can find learning packs and other resources on their website. Learn more about the Kids Helpline and KidsMatter partnership in this PDF.